With so many medical prefixes and suffixes, sometimes a diagrammatic breakdown is very useful where possible, especially when multiple words use the same one. 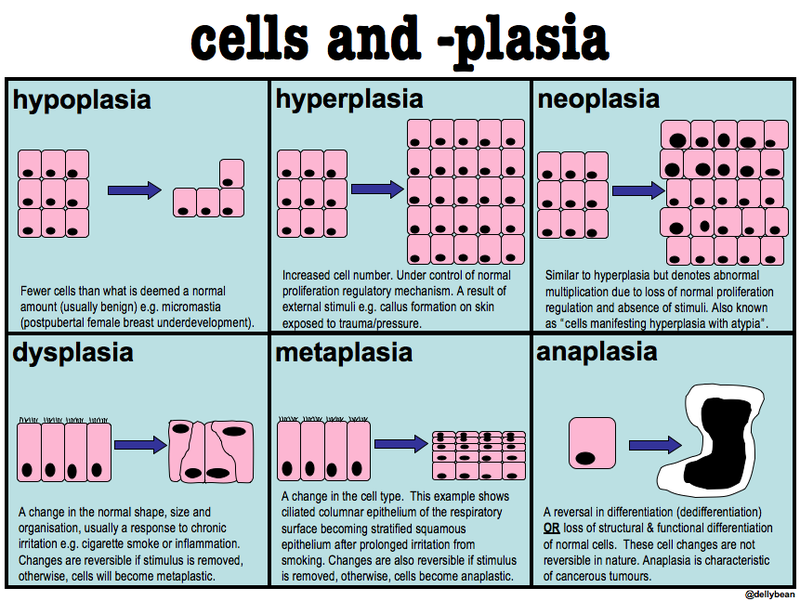 After scouring the internet, I noticed there wasn’t any decent search results for “-plasia” (or “-plastic”), which is a very common suffix used when describing the appearance of cells. So I decided to draw up my own, which I hope you may find useful, too.